SFH04 Gall-Gaedhill (Sons Of Death) (8). 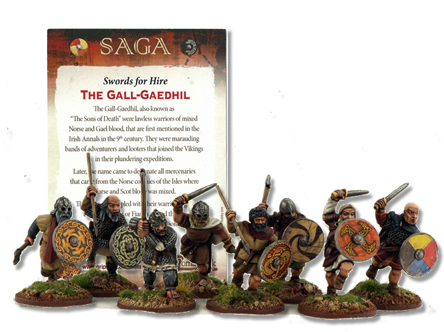 These ruthless mercenaries of Norse and Gael blood are Swords For Hire available to any SAGA faction that has a non-limited choice of mercenaries. 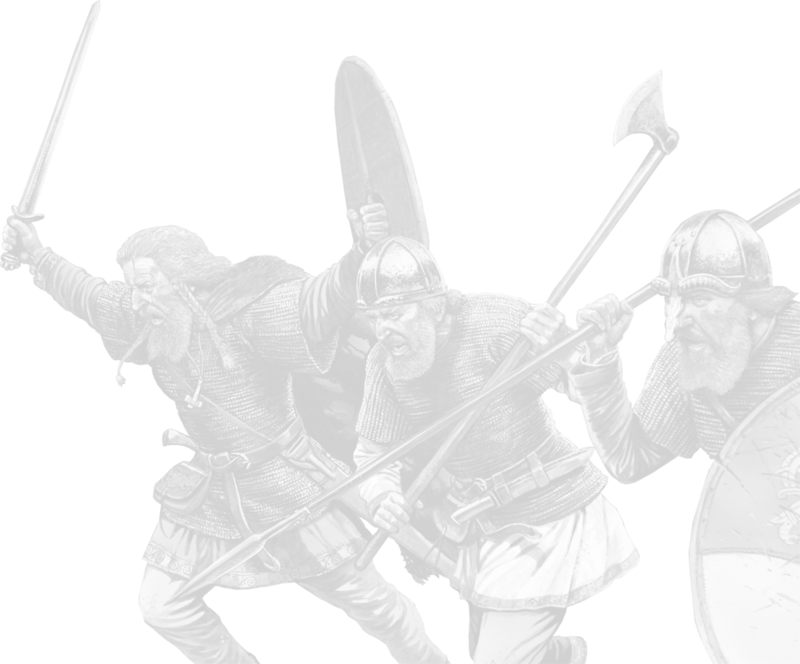 The Gall-Gaedhil also known as "The Sons of Death" were lawless warriors of mixed Norse and Gael blood, that are first mentioned in the Irish Annals in the 9th century. 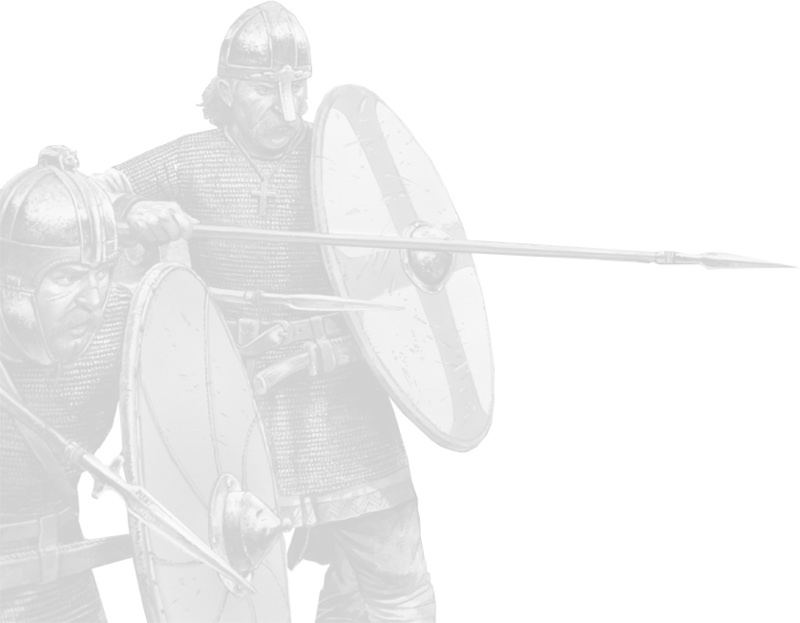 The were marauding bands of adventures and looters that joined the Vikings in the their plundering expeditions. Later, the name came to designate all mercenaries that came from the Norse colonies of the Isles where Norse and Scot blood was mixed. 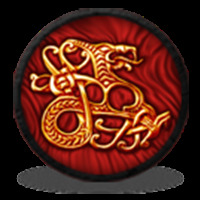 Their ferocity, coupled with their warrior pagan cults as Diberna or Fianna earned them a well-deserved terrfying reputation. These figures, sculpted by Soapy, come with a selection of weapons, large round shields, and plastic bases.